Gandhinagar is the capital of the state of Gujarat in western India. Gandhinagar is located approximately 23 km North from Ahmedabad, the largest city of Gujarat, on the west central point of the Industrial corridor between Delhi, the political capital of India, and Mumbai, the financial capital of India. Gandhinagar, Gujarat's new capital city, lies on the west bank of the Sabarmati River, about 464 km away from Mumbai, the financial capital of India. Thirty sectors, into which the city has been divided, stretch around the central Government complex. Each sector has its own shopping and community center, primary school, health center, government and private housing. There is a provision for of parks, extensive planting and a recreational area along the river giving the city a green garden-city atmosphere. During the 13th century, the Shertha town was ruled by King Pethasinh of Pethapur. After his death, this land was used by the Sultanate of Patan as a battle ground. Sultan Ahmed Shah moved his capital from Patan to a newly built city of Ahmedabad. After Indian Independence, the erstwhile state of Bombay was divided into two states, namely Gujarat and Maharashtra, on 1st May 1960. Ahmedabad, which is considered to be the commercial hub of Gujarat, was the state capital, but a proposal was put forward for constructing a new state capital, similar to that as Chandigarh. This task of construction was taken up by two Indian architects, Prakash M. Apte and H.K. Mewada. These two architects previously worked as apprentice on the Chandigarh city project and thus, easily designed the new state capital of Gujarat. This new state capital was named after Mahatma Gandhi and the foundation stone was laid in 1965. Thereafter, in 1971, the state capital was shifted from Ahmedabad to the new city of Gandhinagar. The new state capital was built on the land which was once part of the old Pethapur State. 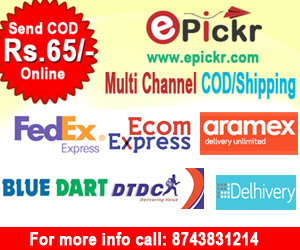 There has been a rapid growth and development in Gandhinagar since the 1980s. Apart from being the main administrative centre, the city has been slowly turning into a prime trade centre. Some of the famous electronic industries are established near Gandhinagar, along with co-operative societies, hotels and private buildings. The city has an average elevation of about 81 metres and covers north-central-east Gujarat. Gandhinagar usually experiences a dry, hot climate and the south-west monsoon brings rainfall to the city from mid-June through mid-September. October to January is the best season to visit Gandhinagar. In the 13th century, King Pethasinh of Pethapur, ruled over Shertha town. After the death of Pethasinh, the Sultanate of Patan used this land as battle ground. Sultan Ahmed Shah decided to move his capital from Patan to a new city, and built Ahmedabad. In 1960, Bombay state was split in two different states, Gujarat and Maharashtra. Ahmedabad became capital of Gujarat, and a new capital city was to be built on land which was once part of Pethapur state. Gandhinagar Tourism - Get all information on Gandhinagar tourist places and sightseeing tours. Our website helps you plan your next tour and gives you great ideas on what to do, where to eat, where to stay and when to go there. We give the best information from the web to give you precise, meaningful and useful travel guide for leading places to visit in India and from across the world. Our travel information on GANDHINAGAR tourist places, tourist attractions, major sightseeing, the best time to visit, the top places to visit in Gandhinagar, the must-see things to see and do, maps, restaurants, hotels, nearby tourist destinations, local public information and more. 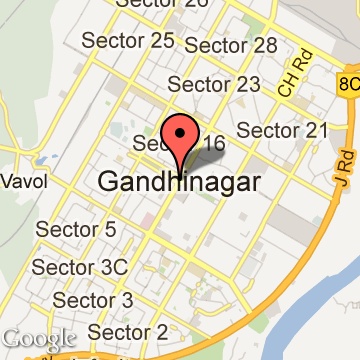 To start with check out information on how to reach Gandhinagar.